U.S. housing is at its least affordable in 10 years, according to a recent report. So it was no surprise to see lots of affordable housing and rent control measures on local and state ballots during the Nov. 6 midterm election. Voters showed mixed results for affordable housing. Wins occurred in Texas, North Carolina, and Washington. Arizona suffered a big loss. California felt like a split decision. “Tremendous local and state victories on ballot initiatives to address homelessness and housing poverty mean new affordable homes for the people most in need and new alliances and momentum for bigger victories to come,” Diane Yentel, president and CEO of the National Low Income Housing Coalition, said in a statement. Voters in Charlotte, N.C., approved $50 million in bonds to support an affordable housing trust fund. Expand rental housing with programs that support “Low-Income Housing Tax Credit” deals. Use federal community development block grant funds to help create mixed-income housing. Establish a fund and tax relief program to preserve existing affordable housing. Ensure publicly-funded developments set aside 20% of units for families earning 30% percent of Area Median Income or less. The city realizes it just needs to focus on preservation of existing housing, not just new development, and the importance of community partnerships. In Austin, voters overwhelmingly approved a $250 million bond for affordable housing. $28 million for an existing housing repair program in underserved communities. “As we go forward, we’ll have to keep spending more and more in order to keep this city affordable for everybody, not just for the rich,” Sumit DasGupta, of the task force that drafted the measure, recently told The Daily Texan. Affordable housing measures also won in Bellingham, Washington and Chapel, Hill, N.C. Three counties around Portland, Ore., also approved $653 million in bonds to support affordable housing programs, Next City reports. The city has long wrestled with the high cost of housing. “The issue has hung over the city and council for decades, but critics said this solution was not direct in how it attempted to handle that problem,” according to the Arizona Daily Sun. California had, by far, the most affordable housing ballot issues. Local affordable housing bond issues passed in Oakland and San Francisco. State voters also passed Proposition 1 with more than half of the vote. It allows the state to sell $4 billion in general obligation bonds to fund housing for the poor, farmworkers, and veterans, according to Pew Trusts. They also passed Proposition 2 to set up $2 billion in previously appropriated funding to go toward housing for the chronically homeless, people with disabilities and the mentally ill. But voters overwhelmingly rejected expanding rent control by voting down two local measures and a statewide initiative that would have allowed cities to broaden tenant protections. Still, this election cycle sends a big message to decision-makers, writes Maya Chupkov of the Council of Community Housing Organizations in the San Francisco Examiner. Why Affordable Housing is Important for Latinos? 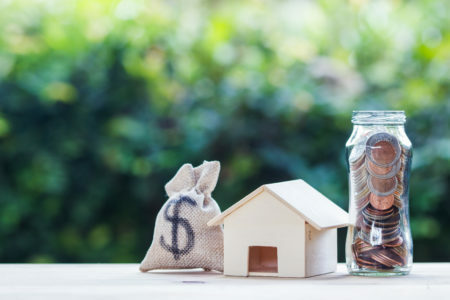 Nearly half of renters were cost-burdened, which means they spent more than 30% of their income on rent, according to a 2017 analysis by the Harvard Joint Center for Housing Studies, writes Teresa Wiltz for Pew Trusts. Lack of affordable housing has strong implications for many Latinos and greatly impacts their quality of life. Many Latinos live in racially segregated, low-income, high-poverty areas with limited access to fresh, healthy foods, quality healthcare, and physical activity spaces. Sadly, many Latino kids lack access to active spaces in their neighborhoods, according to Salud America! research. Studies suggest the average white family experienced an 11% reduction in wealth. But the average black family lost 31% of its wealth, and the average Latino family 44.7%. The disproportionate denials and limited anti-discrimination enforcement help explain why the homeownership gap between whites and Latinos, which had been shrinking since the 1970s, has exploded since the housing bust. Latinos have higher risk of eviction and more than half of Latinos (54%) rent their home. That’s nearly twice as much as Whites (28%), according to Pew Research Center. Hence Latino and Black community are twice likely to be affected by housing crisis, compare to the white peers. Affordable housing is likely to remain a hot-ballot issue. Editor’s Note: Main photo from Associated Press via Pew Trusts.